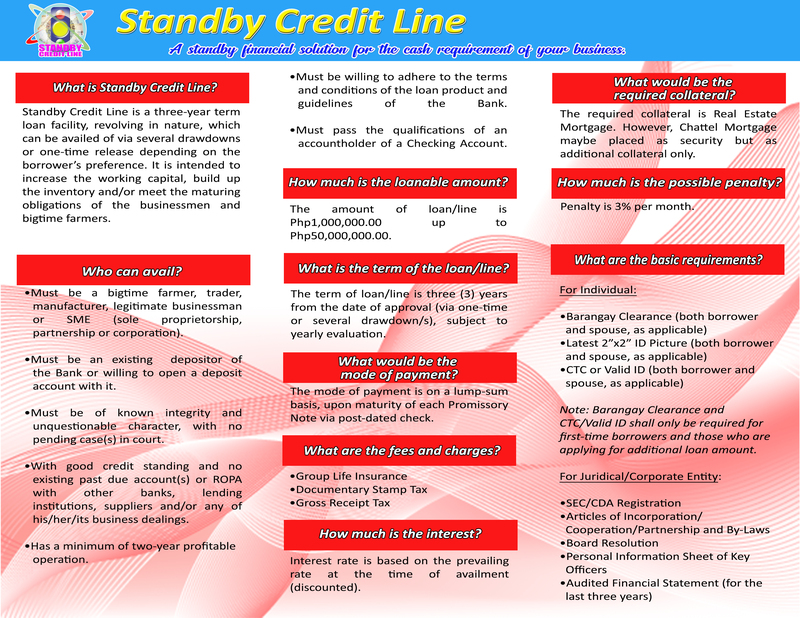 Make a drawdown from an approved line—at the right time for the right purpose—only from FICOBank’s Standby Credit Line. This facility offers a three-year-term line of credit, which you can avail in a series of credit or one-time release, depending on your preference. Mode of payment is lump sum upon maturity of each PN.